The Davenport Limestone surround is a bespoke design which suits a range of our hole in the wall gas fires. 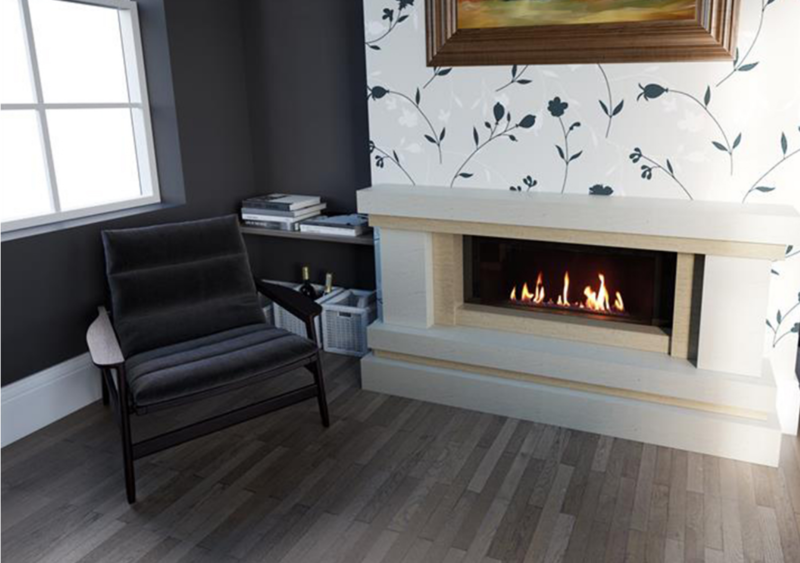 The two tier hearth adds an eye-catching spectacle and the choice of slips can add a contemporary twist or maintain the grand nature of this limestone fireplace depending on your preferred material. Optional lights to both the mantle and the upper hearth can add a focal point and a true wow factor to your room.